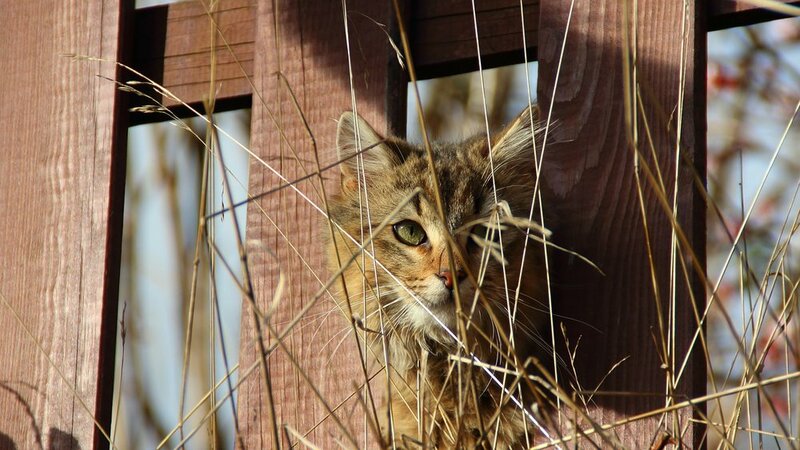 Cat-proof Garden Fence — SIMPLY PETS - HAPPY lives here! Cats that are used to living indoors find it hard to adapt reasonably with the outdoor environment. They long for attention and companionship. Nonetheless, an enclosed environment is not conducive to the dwellers. Thus, the perfect solution is to create an access for the cats to play in the garden. What will keep your pet cats inside your boundaries? What will keep stray cats away? The ultimate answer to your dilemma is a cat-proof garden fence. Giving your cats an enclosed environment aside from the home itself has several advantages. The topmost advantage is the security. Even if cats are outside, they are still free from the opportunity to run over. With a suitable garden fence, your cats will be shunned from digging up your neighbor's precious plants. Your cats are also protected from being injured by predators such as dogs. The garden fence shuns the two dangerous possibilities of preventing cats from going outside your territory and inviting other cats to enter and ruin your garden. You have to take advantage of the security and protection that a fitting garden fence can offer. Gardens vary in shape and size. Thus, what may be practical and easy to work on one may be difficult to another. Nevertheless, you have to be adept in creating a safe haven for your cats at the same time be wary of the security measures. To make a cat-proof garden fence, you will need materials according to your preferred fence. Also scout for availability of garden fence materials. It will be less costly, if you will choose those materials that are widely available. You can choose from, bricks, wood or cement. The use of trellis sections can augment the look of your garden fence. Be sure that the materials you use are not toxic to your pets. In constructing a garden fence, it is better to start with good planning. Follow your state's regulations in building fences. In that way, you will be free from legal hassles. Your garden fence must have an escape-proof system. There are diverse methods of doing this. These methods include using stretcher wires, brackets and frameworks. Moreover, you have to make a choice whether to make your garden fence fixed or flexible. All wire fencing or netting must be vigilantly erected. They must be secured through weaving a lightweight stretcher wire through the mesh. Another method is to tie the mesh to the stretcher wire at standard intervals. Enclosure using a garden fence will help you do away with the usual problems in connection with cats. Your garden can be the perfect haven for your cats. Be sure to give them safety that is due them. Provide them whatever type of enclosure but let them have their freedom and enjoyment. Moreover, be bothered no more by the destructive nature of cats. In the garden, they will enjoy at the same time be safe. You too, will enjoy your abode - neat, comfortable and cat-devastation-free! For more information and tips about gardening [http://www.gardeningwebs.net/]. Visit us at [http://www.gardeningwebs.net/].